1. So it appears from other fan sites that the 40th Anniversary has indeed come and gone. 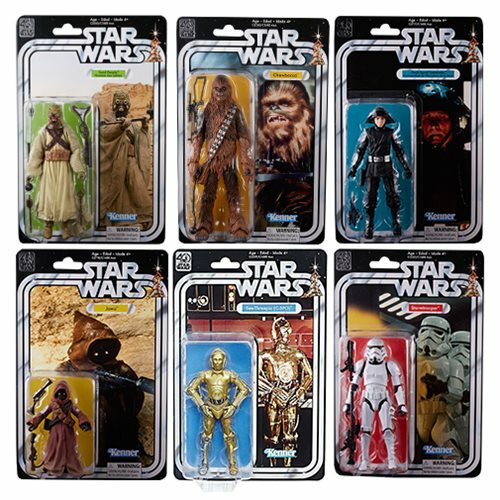 Specifically, the 6 inch TBS Vintage assortment. 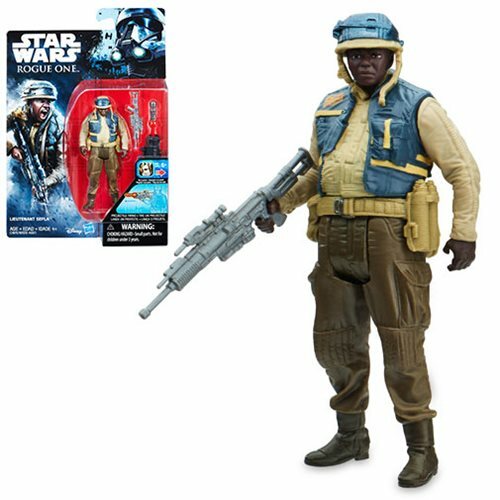 It appears to me that wave 1 was more heavily produced than wave 2, thoughts? Are numbers out there to support this, or is there a glut of this product poised to hit for Q3/4 for Christmas? I figure no, that E8 product will be the norm for the rest of the year and this was just a treat for us die-hard old timers. I’m seeing wave 2 holding a solid aftermarket price while it should be found easily at retail but hasn’t. I can’t recall Hasbro putting out a product line that was intentionally so short run as this before, have you? 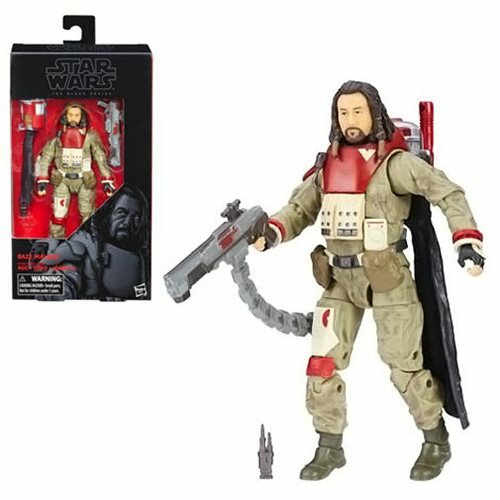 The fun think about being able to peek behind the scenes is that I know sometimes we don't know - as far as I can tell (as of my writing this) there are still figures waiting to show up somewhere, but that may depend on people that aren't Hasbro. Or people that are Hasbro. It's complicated - but the assortment itself is not expected to have any new waves this year. There have been all sorts of short runs in the past, but some of that information is tough to share due to various agreements regarding how I got said information. The really fascinating thing is that some items really were short, nobody noticed, and nobody cared - while some other items went long, and people cared a bunch. It's a hard market to predict, and it's not all about scarcity, but you can put anything on a vintage cardback and a set number of people want it badly. When it comes to vintage-style cardbacks, pretty much every fan has a list - if Hasbro hasn't done it yet, somebody wants it. I mean, they even gave us Prune Face and Lumat - they know we're into it, but some things just aren't in the cards in the near term. With the return of the line next year it's time to start making tons of noise because Hasbro might actually hear you now, especially if they're planning on keeping it going. 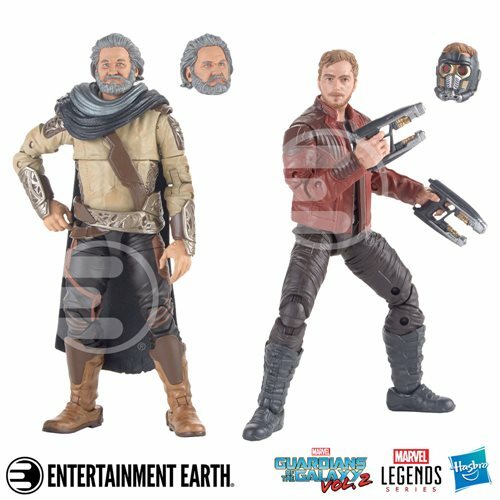 I love those two and it would be great to see Han Solo on a Vintage cardback like that, but I don't anticipate it to be likely without some changes made to the figure to give it a reason to come back. There were no vintage-era Blade Runner figures back in the day, but there were some cars and a few other collectibles. Due to the movie being a flop at the time, and a seeming reluctance to license it later, it's one of those things that we're all hoping happen with the sequel. NECA has some stuff on the way this year for the new film. 3. Lego would send store displays that displayed many of their new mini figures in an acrylic case. You know how they look. Fantastic! To me, it's a throwback to the old vintage card backs and commercials that encouraged, then, young collectors and collectors of all kinds to "collect them all". I think Hasbro should take a page out of the Lego book and do something like this with the 3.75 figures. What do you think? They could display 3 to 4 waves at a time and refresh the display when all the waves have hit or just leave it up like Lego does. What are you thoughts on this idea? One of the problems with that kind of set-up is theft - people will break in and take the figure they want. Another problem is that it's geared to products available all year long. With LEGO, when they showed you Minifigures you would know that those would be sold for at least 12 months. Hasbro's typical lifespan of an action figure, unless it fails to sell, is a couple of months. 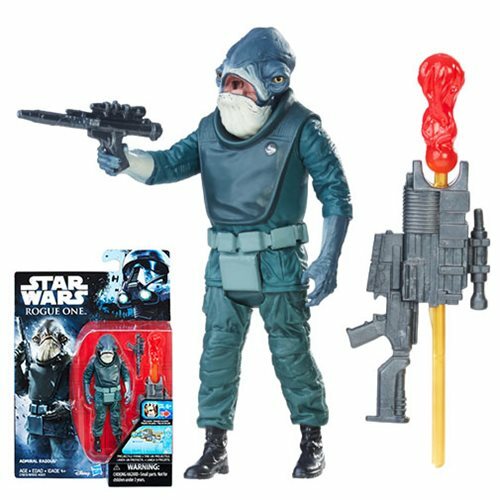 Hasbro had stated - I don't know if the current regime feels this way - that showing too many co-sells on the cardbacks would distract people from buying the figure in front of them. Would you buy Hux if you flipped him over and saw that there's a figure you should save your money for, like Kylo Ren or Captain Phasma? You might, you might not. I find this argument lacking, but I've heard it a few times - for me, seeing that there's an "all" to "collect" is pretty compelling. Back in the 1990s Toys R Us experimented with new displays showcasing toys out of the box and in little dioramas under their "Concept 2000" stores. 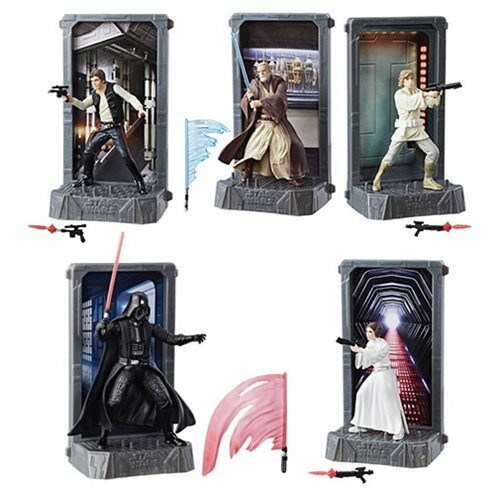 You may have seen variations on this here and there, and there was one with some of the 1995 Power of the Force figures in some locations - but it wasn't regularly updated, as that's an expensive proposition and requires upkeep, which also takes away from inventory of a product that already seems to be in short supply. The current ruling class seems to want to discourage people seeing their entire line. 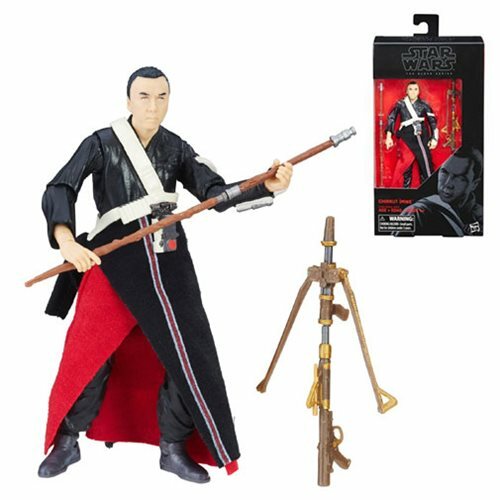 I don't even know anywhere you could look, in an official capacity, and see a catalog of figures online or off. We need a poster or something, but I don't think that's in the cards thanks to how the new movies are being handled. This is in part to there being gated figures that Disney doesn't want you to see or know about until after the movie opens from time to time - like Han Solo. You know, that spoiler from The Force Awakens that he was in the movie, despite being in the trailer and marketing materials. Given where technology is going I'm almost surprised we don't have some sort of LCD monitor with a barcode scanner to give more information about the figures in stores, or even on smartphones, but apparently marketing departments just aren't there yet. But CommTech was a good phase one, even if you hated the idea they were utterly brilliant in coming up with a way for kids to pick up a toy and walk around to a display to hear it do something. Also, showing the wave on the cardback, how I miss it. One store that has adopted a display like what you suggest is Barnes & Noble, primarily for model kits, statues, and higher-grade Japanese figures. It's gorgeous, and frankly as someone who works for an online store I'm jealous that they get to put out what is effectively a Comic-Con or Toy Fair-style fixture in their stores. It's beautiful. I don't know if it converts people to buy, though. I have yet to see any in-store break-in there, but this could be due to the nature of the stores, that people don't go to bookstores as much, or that there are more eyeballs on all parts of a Barnes & Noble as opposed to Walmart or Target, where good luck to you trying to flag down someone. Special thanks to our generous Patreon patrons, especially: JT, Timothy, Christopher, Robert, Jayson, Marco, Shawn, Stephen, and Matthew. Thanks for helping us keep the servers on! SDCC is over, finished! I had a decent time overall, but the Star Wars presence was intense and lacking. How is that even possible? The Black Series seems to be doing fine, although I can't say I'm jumping up and down for much beyond the Dewback and General Leia. Rex is nice, and there's nary a dud in the bunch with Maz and a Rebel Fleet Trooper. I'm just old. I like the things I had when I was a kid. 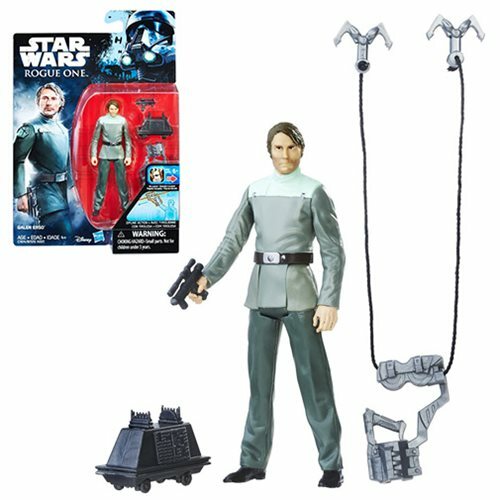 It's nice to see them expanding a bit in the realm of vehicles and improved manufacturing techniques on figures, but I'm finding it increasingly difficult to maintain year-round enthusiasm for Star Wars when most of it is a mystery, and the classic content (or TV content) of stuff I recognize before I'm asked to buy it decreases. It's still a good time to be a fan, but it's a better time to be a picky fan. If you're skipping stuff or being a fiend for sales or clearances, you might be happier. It might also alter the course of the line in ways that aren't great. You're in for a fascinating September.